Built in 1828, the Arcade is the nation’s oldest indoor shopping mall. With its distinguished doric columns, granite walls, and symmetrical Greek Revival facades, the Arcade is Providence’s Parthenon. On the outside facing both Westminster and Weybosset Streets, the building appears much as it did over 185 years ago. The interior atrium was likewise carefully restored to its original classical form. Though, few would ever guess the modern amenities hiding behind the historic walls of the building’s upper floors. After closing multiple times over the late 20th century, the Arcade most recently opened its doors in 2013, re-introduced as a residential and commercial mixed-use building. Today, the first floor is dotted with small businesses that sell coffee, whiskey, trinkets, shoe repair services and haircuts. 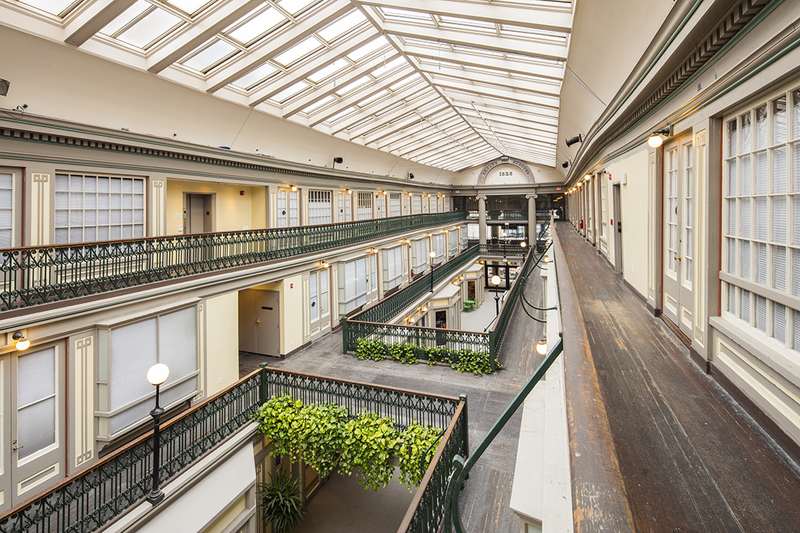 But the second and third floors are really what the Arcade is known for – its microlofts. With 48 microlofts that range from 225 to 450 square feet, the Arcade is a nationally recognized example of modern micro-living. 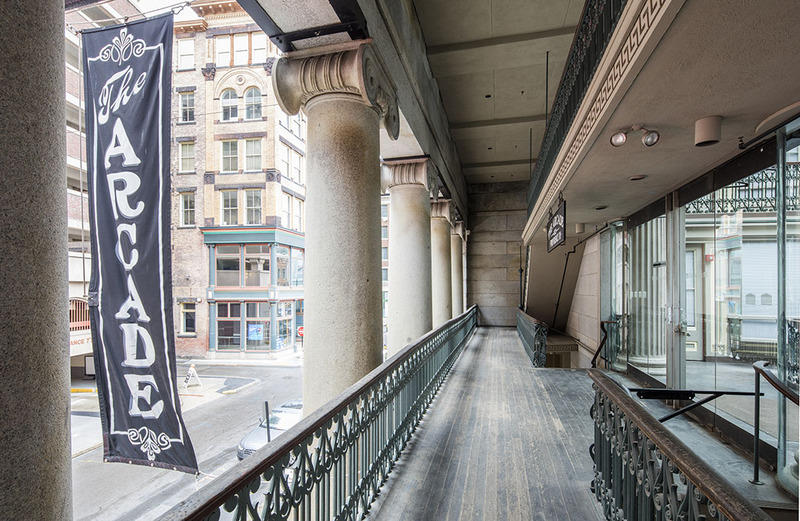 The Arcade Providence was designated a National Historic Landmark in 1976. Walk the length of the third floor interior balconies and check out one of the Arcade’s famous micro-units! (please note that photography is NOT permitted inside the micro unit).